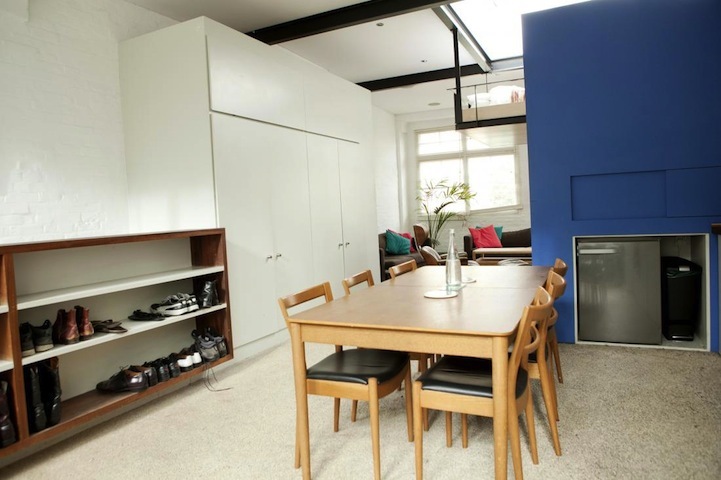 Good urban architectural design takes space and aesthetic into account, allowing them to work in unison, much like this efficient London apartment in Camden. 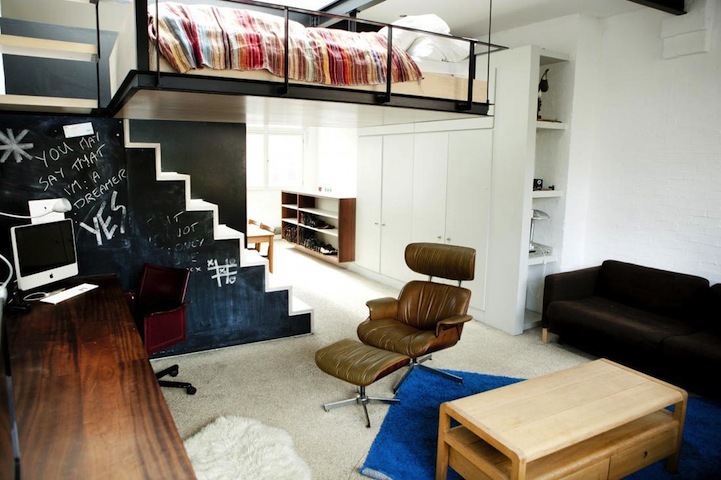 While some compact residences use a modular design to create the visual effect of more space, this particular English home opts to design vertically by featuring a suspended bed overhead. This innovative apartment allows inhabitants to have more walking room on the ground floor without disrupting the tastefully modern design. 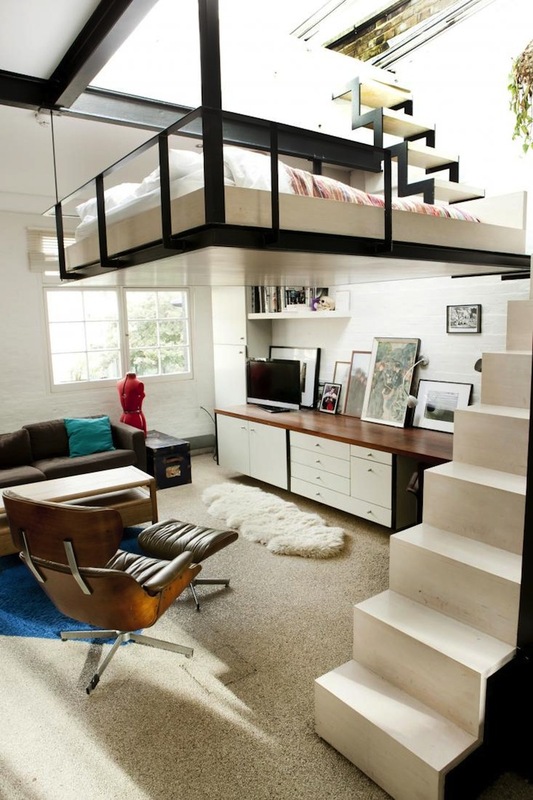 The bed hangs above the living area like an elegant, simple balcony with a equally complementing staircase leading up to it. 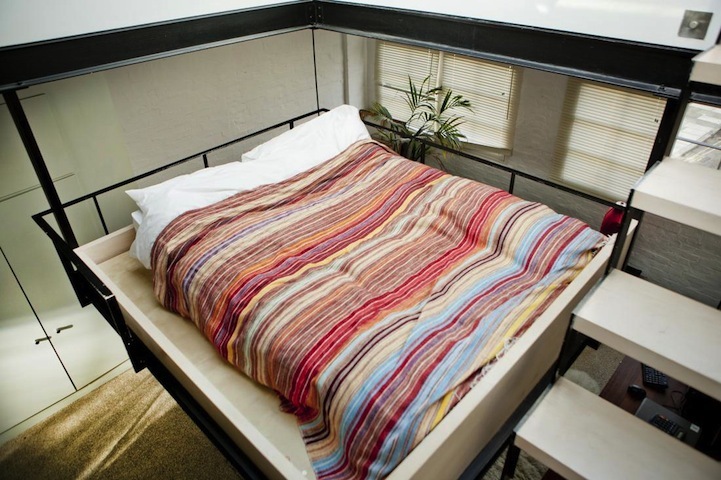 The bed is also situated below a retractable glass skylight that leads to a 500-square-foot rooftop garden. 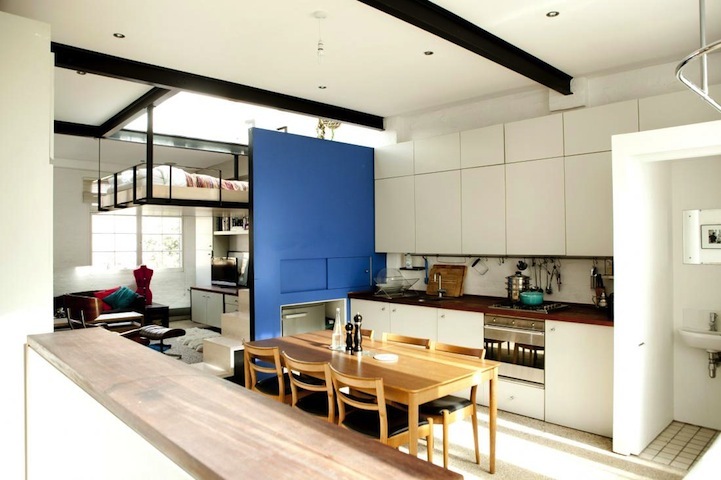 It proves that smaller living spaces don’t mean cramped, unattractive environments.